how do you recharge after work? Internally or externally? Most days at 5pm in Marin Headlands in the Golden Gate National Park there is a steady stream of surfers coming from work in San Francisco to try and catch the evening waves at Rodeo Beach. 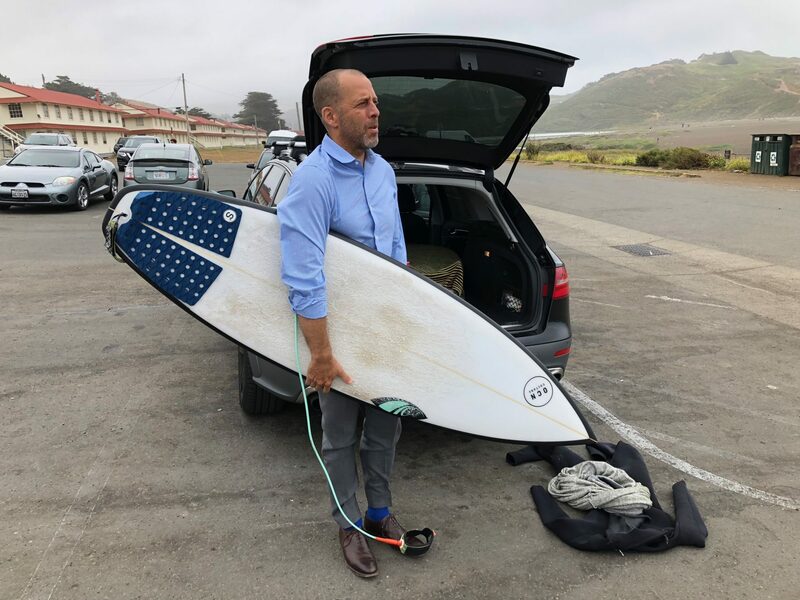 They arrive in casual dress, get their boards prepped and then jump into their wetsuits. This evening ritual made me wonder, what after-work rituals are there in other parts of the country? Hikes, bike, music, yoga, meditation, drawing, go out with friends? How you do you recharge after work? We all recharge differently depending on if we get our energy internally or externally. Meyers Briggs refers to this as your “favorite world.” If you get your energy from the outer world they call it extroversion. If you get your energy from the inner world it is referred to as introversion. Try not to confuse introversion with shyness. There are multiple ways to recharge if you are inclined towards introversion. You can cook, be artistic, meditate, garden, and take a walk. If you are more externally energized, you could volunteer, attend a social gathering or meet friends to hear music. At times, people can judge each other’s recharge strategies. People who recharge internally wonder “why in the world would I want to go out with my colleagues after a long day?” Workers who recharge externally view the retreat of introverted colleagues as reclusive and “not wanting to be part of the team.” These judging patterns get us no where. Take a moment this week and talk with your colleagues and family members about recharge time. Share your favorite recharge activities. Share how much time you spend recharging. Are you recharged after 20 minutes of listening to music? an hour walk? an evening with friends? or a weekend of volunteering? Whatever your preference, make time to recharge. Gauge your energy after a day of work and then take the time you need to recharge so you can bring your best self to work, home and community. The world needs you at your best whether it’s an inner recharge or a high energy group activity.